Windom Baseball Needs Your Help, Please Donate | That's Twins Baseball. A Minnesota Twins Blog. We’ve now raised close to $850 and I thank each and everyone of you who have donated. I’m setting a new goal of $1000. We’re so close to our goal, please donate below. Let’s do this! Thank you one and all who have donated through this site or helped pass the word along. So far we’ve raised close to $700 on this site which is amazing. An anonymous donor has donated another matching grant of $11K but like the first grant, it needs to have matching funds raised before it can be realized. The labor will be donated but we need help raising money to match the grants. Here’s the update from the Windom Baseball Association…. You can help donate via PayPal below. Donations of $5 or more will be entered into a drawing to win my personally signed baseball by Twins outfielder Michael Cuddyer. Thanks again for your support. Every donation helps. I grew up in Windom, Minnesota, a small town in the southwest corner of the state. Like many kids growing up, baseball was a huge part of my childhood and young adult life. The games played with wiffle balls and bats taped up with dads duct tape eventually gave way to summer ball and once you became old enough, high school baseball. The Windom Eagles play their baseball and football games at Island Park. I can remember my first game on the Varsity team like it was yesterday. It was in the playoffs, a night game, and I was a freshman riding the bench as a pinch runner or pinch hitter. I got called up to bat in a key spot and let’s just say this stern quote from my coach tells you the result, “Welcome to the big leagues Benny!”. I would go on to play dozens of games at that field before I graduated and let’s just say I never looked at strike three again. I could go on with more memories and laughs I had at Island Park playing baseball or football. However, I wouldn’t have so many fond memories of Island Park if it weren’t for the concession stand. The concession stand helps raise funds for ballpark maintenance and youth football and baseball opportunities. Without it, Island Park wouldn’t exist. The concession stand is the reason I am writing this post. It was recently brought to my attention that Island Park needs a new concession stand as the old one had finally reached it’s end. The Windom Baseball Association has sent out a letter to alumni stating what funding is needed. Here are a few excerpts…. • The Remick Foundation says it will only give us matching dollars. To get the needed $11,200, we must raise $11,200 by April 1. Ideally, we want to receive most of the donations by March 1. Here is a link to the complete letter from the Windom Baseball Association outlining the funds needed and where to donate. I want this concession stand to be built and I ask you to PLEASE donate. I’m setting up a Paypal donation button below but there’s a catch. For every dollar donated, I’ll match it with my own funds. For example, if you donate $10, I’ll match that $10 with my own money when I mail in the donation (I’ll match total donations up to $150). If you can donate even $1 it’s a big help. If 20 people donate $1, that’s already $40 when I match the payment. If we make one of the donation plaque goals listed above, the name on the plaque will be “That’s Twins Baseball” or “Friends of That’s Twins Baseball”. Let’s see how much money we can raise before March! If you would like to donate directly to the Windom Baseball Association, please follow the link above. I’ll even sweeten the pot a little. 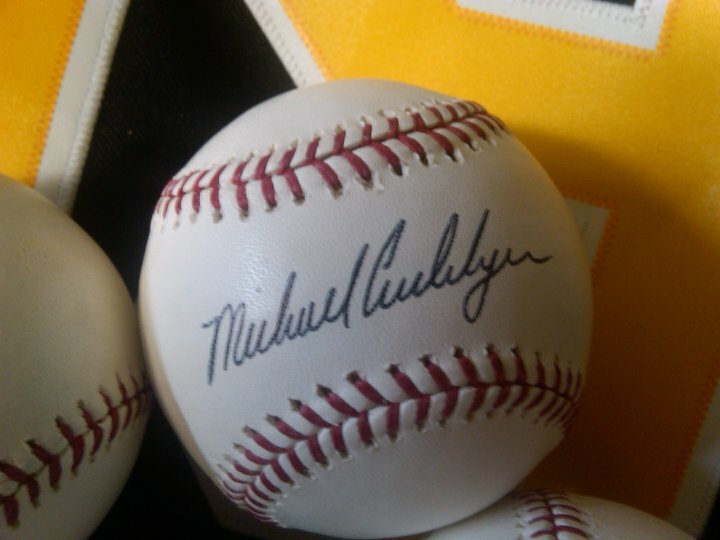 Donations of $5 and above will be entered in a drawing to win my beloved Michael Cuddyer signed baseball that I received here. Who wouldn’t want that pristine autographed baseball? Donate $5 or more below and it could be yours. Here’s a link to a story in the Windom Citizen. $5 on it’s way. Some of my family comes from Truman, MN, baseball in small town Minnesota is a life blood.